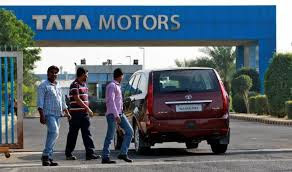 The Tata Motors Group global wholesales in March 2019, including Jaguar Land Rover, were at 1,45,459 nos., lower by 5%, as compared to March 2018. Global wholesales of all Tata Motors’ commercial vehicles and Tata Daewoo range in March 2019 were at 57,163 nos., higher by 1%, over March 2018. Global wholesales of all passenger vehicles in March 2019 were at 88,314 nos., lower by 9%, compared to March 2018. Global wholesales for Jaguar Land Rover were 70,171 vehicles (*JLR number for March 2019 includes CJLR volumes of 4,812 units). Jaguar wholesales for the month were 20,985 vehicles, while Land Rover wholesales for the month were 49,186 vehicles.